1. 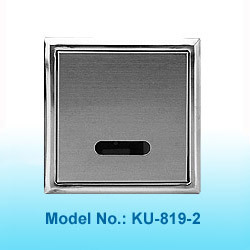 Direction of water inlet can be either from left or right side. 2. 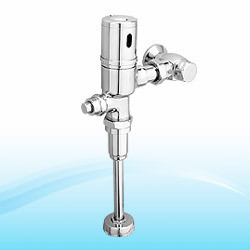 Easy to install to convert the manual flush valve into automatic mode in minutes. 3. With a mechanical override button to enable the valve into manual mode. 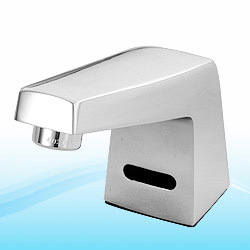 * Place hand within sensing range to turn on water and leave sensing range to turn water off. * Safeguard of self-locking after 1 minute of water flowing. * When battery is low, the LED lamp will flash. 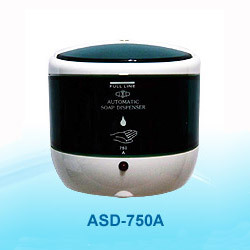 * Electronic control assembly is fully moisture proof. 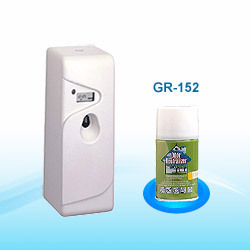 * Safeguard protection of automatically cutting off after a continuous use for 1 minute. * 2 vandal-proof lock screws and key wrench. 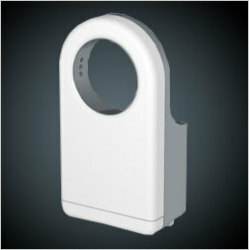 * 3-step safeguard protection to prevent overheating. 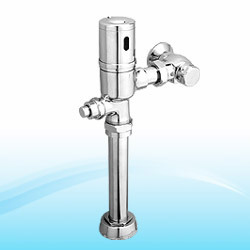 All the electronic components and valve are inside the spout and located above deck for easy installation. 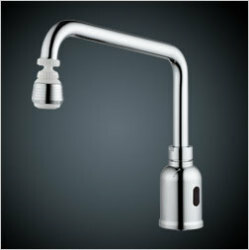 With override lever to enable the faucet into manual mode. Water temperature is adjustable above deck. 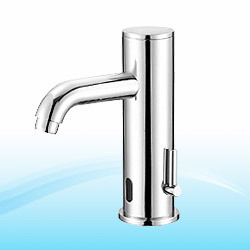 Spout is made of polished chrome brass for durability. 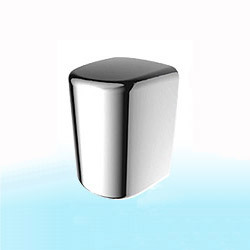 Stable sensor range: no interference from the colors or materials of basins. 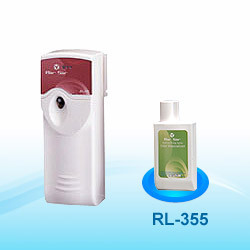 Stable soap volume: liquid Soap 0.9~1.0 CC. Foam Soap 0.5~0.6 CC. 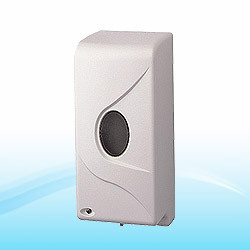 Wave hand within sensor range to turn on water and wave again to turn water off. Selectable self-locking time for 6, 8 seconds, 3, 30 minutes. 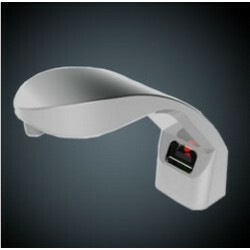 When battery is low, the LED lamp will flash. 1. 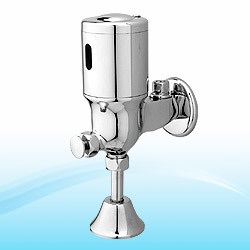 All the electronic components and valve are inside the spout and located above deck for easy installation. 2. Water temperature is adjustable above deck. 3. 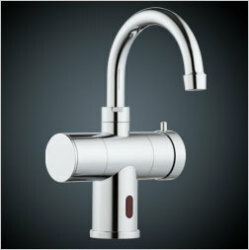 Spout is made of polished chrome brass for durability. 1. Water temperature is adjustable above deck. 2. 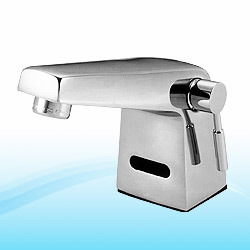 Spout made with polished chrome brass for durability. 3. 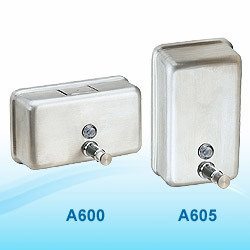 All electronic and solenoid parts are sealed and protected to resist water and moisture. 1. 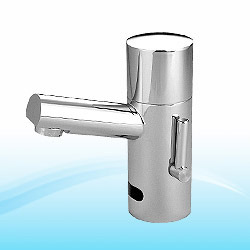 Spout made with polished chrome brass for durability. 2. 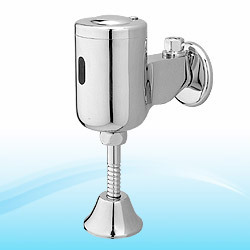 All electronic and solenoid parts are sealed and protected to resist water and moisture. 3. Safeguard of self-locking after 1 minute of water flowing. 1. Hot and cold water pre-tempered. 1. 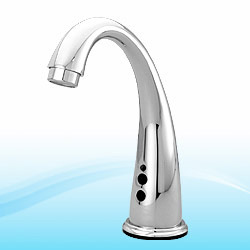 With override lever to enable the faucet into manual mode. 2. 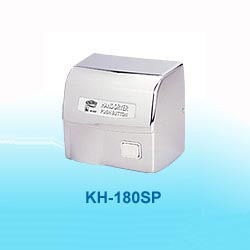 The other features and specifications are the same as KF-818A series. 3. Ideal to be used at hospitals and clinics. 1. 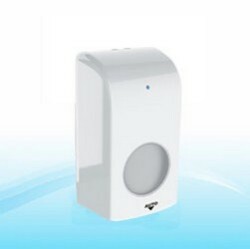 Wave hand within sensor range to turn on water and wave again to turn water off. 2. All the electronic components and valve are located above deck. 3. Selectable self-locking time for 6, 8 seconds, 3, 30 minutes. 2. 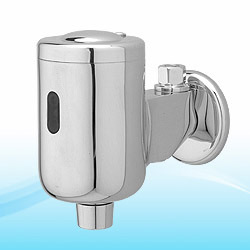 Safeguard of self-locking after 1 minute of water flowing. 3. 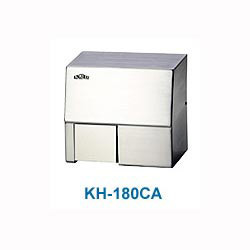 Ideal for factories, laboratories and kitchens. 2. Safeguard of self-locking after 3 minutes of water flowing. 3. 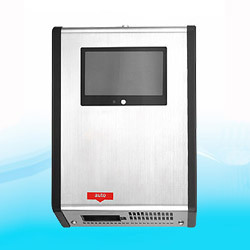 Ideal for hospitals, medical clinics, laboratories and restaurant kitchens. 2. Selectable self-locking time of 3, 6, 9, 12 minutes. 3. 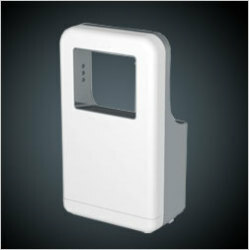 Powered by 1 PC of CR-P2 lithium battery with battery life 3 years. 1. With a mechanical override button to enable the valve into manual mode. 2. 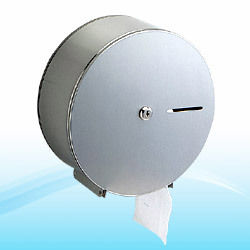 2-step automatic flush to keep urinal bowl clean. 2-Step automatic flush to keep urinal bowl clean. 1. 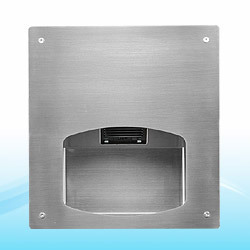 Face plate, frame and control box are all made of stainless steel for durability. 3. Special provided tool to remove faceplate for vandal proof. 1. 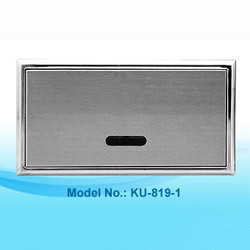 Housing is made of stainless steel for models. 2. 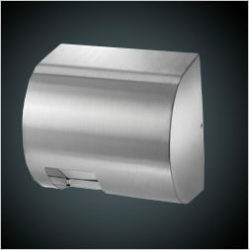 Stainless steel cover, stain finish. 3. Modular design to ensure easy maintenance. 4. 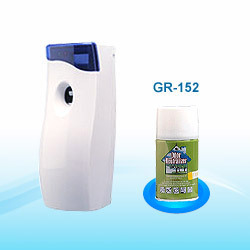 Can be used for liquid soap, liquid alcohol, alcohol gel, sterilized iodine and disinfectant. 1. 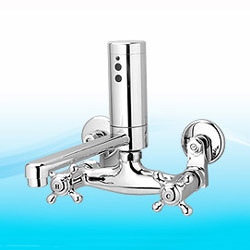 Housing is made of stainless steel for models or aluminum steel for models. 2. 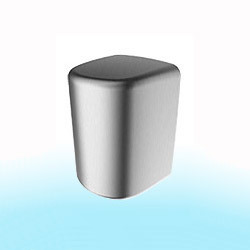 Aluminum cover, silver color. 2. 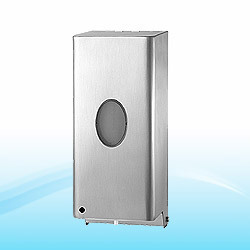 Aluminum cover, blue color. 1. Housing is made of ABS. 2. 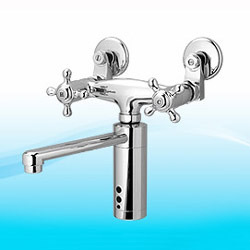 Modular design to ensure easy maintenance. 3. 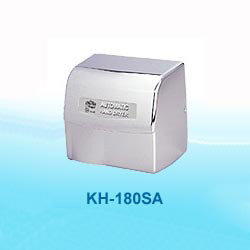 Can be used for liquid soap, liquid alcohol, alcohol gel, sterilized iodine and disinfectant. 2. 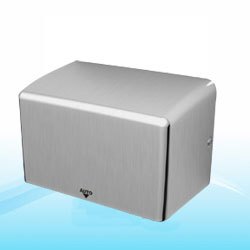 Stainless steel cover, bright finish. 2. Aluminum cover, grey color. 2. 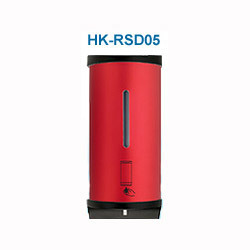 Aluminum cover, red color. 2. Aluminum cover, golden color. 1. Number of drops can be adjusted from 1 drop to 9 drops. 2. No dripping after dispensing. 3. Can be used for alcohol, iodine and disinfectant. 4. 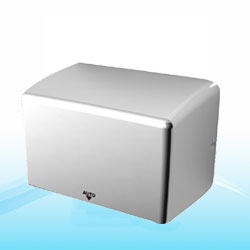 Ideal for hospital operating rooms, nursing stations and medical clinics. 3. 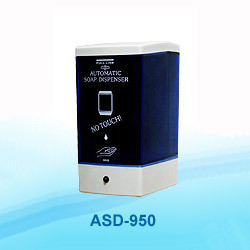 Ideal for hospital operating rooms, nursing stations and medical clinics. 1. 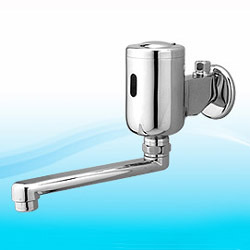 Housing is made of stainless steel. 1. 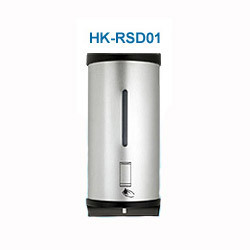 High speed, less than 10-15 seconds dry time. 2. 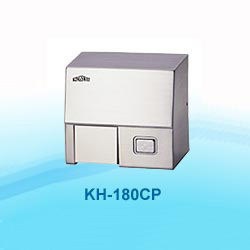 Low power consumption at 1,600 watts. 3. 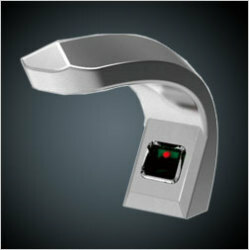 High brightness LED to increase the ease and delight of use. 4. 3-step safeguard protection to prevent overheating. 1. 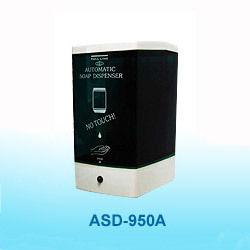 Electronic control assembly is fully moisture proof. 2. Safeguard protection of automatically cutting off after a continuous use for 2 minutes. 3. 3-step safeguard protection to prevent overheating. 1. Approximately 20-25 seconds drying time. 2. Vandal-proof lock screws and key wrench. 3. Step safeguard protection to prevent overheating. 1. 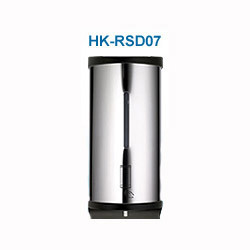 Automatic hand dryer with 7" TFT-LCD panel. 2. Video, slide and music playback functions are available. 3. 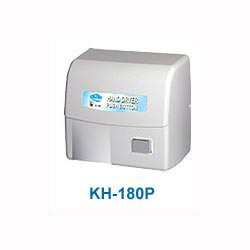 Support several types of memory card and file format. 1. Easy programming with 7.5, 15 and 30 minutes spray interval. 2. External cover is made of P.P. (Polypropylene) for anti-corrosion. 3. 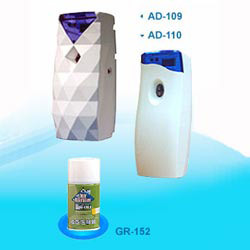 Can be filled with fragrance aerosol and insecticide. 1. 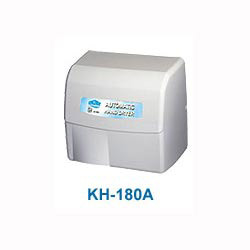 Similar to model AD-106 except with LCD display with programming functions such as on/off setting, clock setting, start/ stop setting, spray interval setting and number of spray counter. 1. Intelligent design with full features of LCD display, on/off setting, clock setting, start-to-stop time setting, spray interval setting and spray number counter. 1. Up to 2 working duration daily set up (weekday). 2. Up to 99 days refill cycle set up. 3. Program auto locked prevent careless operation. 4. 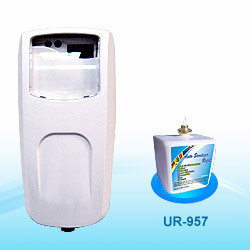 Interval per spray will calculated by processor automatically. 1. 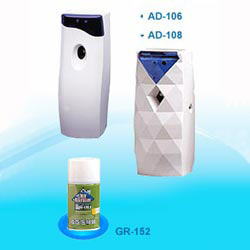 Lasting longer than aerosol dispenser and with stronger deodorizing and air freshening capabilities. 2. Water base, safe for environment. 3. External cover is made of P.P. (Polypropylene) for anti-corrosion. 1. 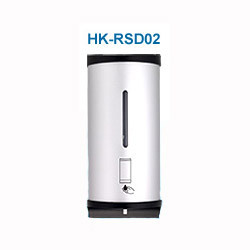 Similar to model US-906 except with LCD display and additional programming functions such as on/off setting, clock setting, *start/stop setting, spray interval setting and number of spray counter. 1. With same function as US-907, but is programmable for days and times of operation. 1. Easy programming with 7.5, 15 and 30 minutes interval. 2. Day, night and 24 hours operation setting. 1. Quick, uniform and complete coverage of user's hands. 2. 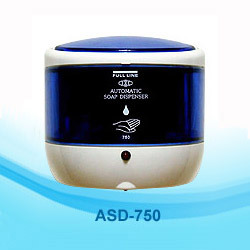 Cost saving, approximately 1/3 soap delivered than normal soap ispenser. 3. Use concentrated liquid soap. 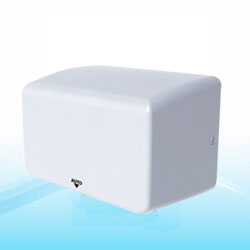 Save storage soap space and shipping cost. 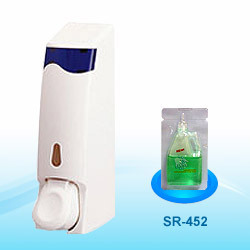 (1) SS-455 toilet seat sanitizer. 2. 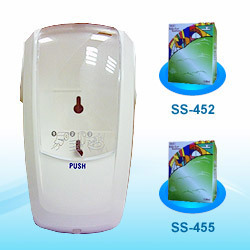 SS-455 toilet seat sanitizer. (1) Dimension 100 x 78 x 55mm (H x W x D). (2) Weight: 310g +- 5%. (3) Volume: 320ml +- 5%. 1. Quick, uniform and complete coverage of user’s hands. 2. Mix water and normal soap with the percentage of 2:1 ~ 5:1 (water: soap) for use. 3. With the 1,000 c.c. 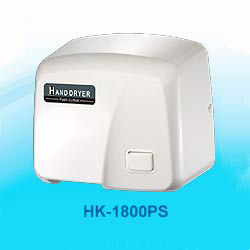 of capacity, the dispenser can dispense up to 1600 uses. 1. 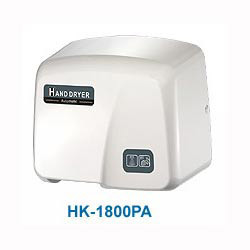 The smallest high speed hand dryer in the market with 30% less in size compared with other high speed hand dryers. 2. High speed, less than 10~15 seconds drying time. 3. Low power consumption at 1,000 watts. * Stable sensor range: no interference from the colors or materials of basins. 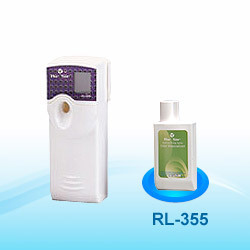 * Stable soap volume: liquid Soap 0.9~1.0 CC. 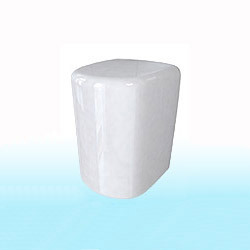 Foam Soap 0.5~0.6 CC. 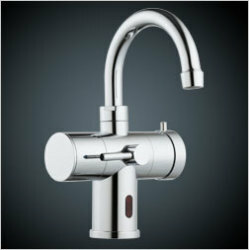 * With a mechanical override button to enable the valve into manual mode. 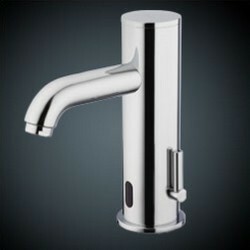 * Body made with polished chrome brass for durability. 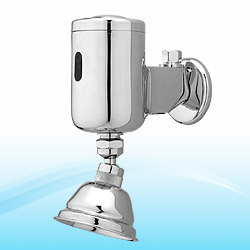 * All electronic and solenoid parts are protected and sealed to resist water and moisture. 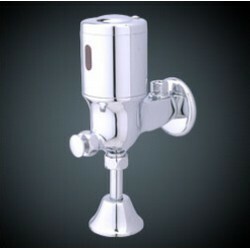 * All the electronic components and valve are inside the spout and located above deck for easy installation. * Water temperature is adjustable above deck. 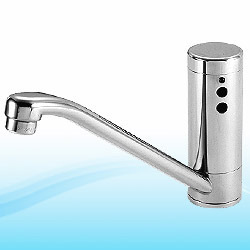 * Spout is made of polished chrome brass for durability.